The gaming industry as a whole is experiencing a boom like never before. Job opportunities are exploding for aspiring game design job hunters. Due to the expected growth, now maybe the best time in the history of the gaming industry to get involved. For students interested in studying video game design there is perhaps no better place to attend university than in the state of California. This west coast territory is home to some of the largest gaming and entertainment companies in the entire world. Combine this with the plethora of world-class video game design schools sprinkled throughout the state and you’ll quickly realize why aspiring students love it here. 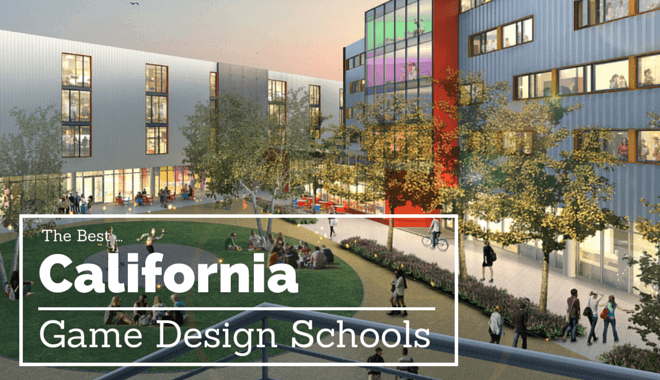 What are the top California Game Design Schools? The details of all California game design schools are below. Ex’pression College for Digital Arts is located in Emeryville, the home of none other than Pixar Animation Studios. There is also a campus in San Jose, just a little over an hour away. Between both schools, students can choose from six different Bachelors of Applied Science degrees: Animation & Visual Effects, Digital Filmmaking, Game Art & Design, Interactive Audio, Motion Graphic Design, and Sound Arts. This small for-profit college offers a Game Art & Design program that gives students the knowledge and skills needed to break into the interactive entertainment industry. Courses focus on areas such as fine arts and theory while requiring projects based on actual production pipelines and environments you’d find in an active game studio. Among the skills students will obtain are 2D computer graphics, scripting, animation, texture, lighting, and 3D modeling. Students also are tasked with designing and developing a working game level while collaborating with other students. The program prepares graduates for various careers in the gaming industry, including Level Designer, Character Artist, Modeler, Texture Artist, Environmental Artist, and more. Worth mentioning is that programs here are different in that a new class starts every eight weeks, with class sizes normally ranging between 10 and 35 students. With a cost of around $12,000 per semester, Ex’pression College for Digital Arts is far from being one of the more affordable schools in California. Since the average program requires 8 semesters to complete, you’re looking at nearly $100,000 in tuition by the time you graduate. University of California, Santa Cruz is a collegiate university about an hour south of San Francisco. 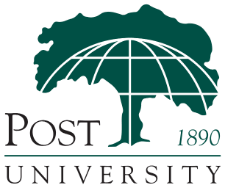 Sitting on a forested hill overlooking the Pacific Ocean, UCSC is considered one of the most beautiful campuses in the University of California system, if not the nation. Founded in 1965, it is one of the youngest universities in the system and consists of ten small colleges that around 18,000 students a year. UCSC’s Jack Baskin School of Engineering offers a Bachelor of Science in Computer Science consisting of courses focused on the creation and design of video games. While the program leans heavily toward the technical side of game creation, which means a high-level computer science course requirements, students also get a taste of the narrative artistic aspects of games. Also required is an intensive senior game design studio course that has students working in teams to develop a complete, functioning video game across their final year. This game design program is one of the best in America for two reasons. Firstly, it gives students a firm understanding of computer programming while also offering an introduction to the art, narrative, digital media, and music side of games. Secondly, it is lead by notable professors who have many years of experience either teaching game design or actually making games. New York Film Academy is a film and acting school based in New York City but with campuses all over the world, including Los Angeles, London, Beijing, Barcelona, Florence, and more. The for-profit school was founded in 1992 and has grown to offer programs in a number of fields, including animation, screenwriting, film directing, game design, illustration, digital journalism, and more. The Los Angeles campus is the only New York Film Academy school that offers game design programs. The three main degrees offered are an Associate of Fine Arts in Game Design, Bachelor of Fine Arts in Game Design, and Master of Fine Arts in Game Design. A non-degree game design program is also available to those interested in a one-year conservatory program. Among the faculty leading the game design programs are Chris Swain, co-founder of the Electronic Arts Game Innovation Lab at UCSC and twenty years of game experience, and Richard Wyckoff, a game industry veteran who has worked at companies like EA, Dreamworks INteractive, and Pandemic Studios. Students in the Game Design program at NYFA focus on the Playcentric Design methodology that involves understanding fundamental theories of games, the core development process, and the importance of prototyping you games while analyzing and critiquing others. There is also a strong emphasis in using games to tell a good story, which includes deconstructing successful narrative games such as Mass Effect, Red Dead Redemption, Uncharted 2, Bioshock, Portal, and more. No list of the best game design schools in California would be legitimate without mentioning the University of Southern California. This school consistently ranks amongst the best two or three in the country. What started as a small private university with only a few dozen students has grown to become one of the most respected universities around the world. The school now has over 40,000 enrolled students and offers two distinct paths for aspiring game designers to travel. Those of you focused solely on the design aspect may choose to attend the School of Cinematic Arts. This route allows students to gain a solid understanding of many of the challenges faced by video game designers today. Students who attended the School of Cinematic Arts at USC have plenty of degree options including a Bachelor of Arts in Animation and Digital Arts or Interactive Entertainment. Like most universities in major US cities, competition is heavy. As a result, to best position yourself for entry, an ultra competitive GPA of 3.5 or higher is recommended. The Los Angeles Film School is a for-profit college founded in 1999 that offers different associate and bachelor’s degrees in entertainment industry fields. The school serves around 2,500 a year and offers both online and on-campus programs. Two game-related programs are offered: an 18-month Associate of Science in Game Production and a 36-month Bachelor of Science in Game Production and Design. Both programs take students through intensive courses that leave them with a firm understanding of programming, production, and design techniques used in the gaming industry today. Notable courses required to graduate are Storytelling for Games, World Building, Visual Programming, and three-course series in Game Art, game Programming, Game Design, and Game Production. The 18-month program of course offers far less courses than the 36-month program. One of the strengths of this school is the fact that it sits in the heart of Hollywood, which gives students access to more professional entertainment industry speakers and connections than anywhere else. The Academy of Art University has been around since 1929 to provide San Francisco residents a way to refine and develop their artistic talents. The school boasts a number of notable alumni, including Pulitzer Prize and Emmy winners as well as people who have worked with NASA, Nike, and 20th Century Fox Television. Online art courses have also been available since 2002 along with on-campus degree programs in nearly 30 fields of study. The School of Game Development at the Academy of Art University was founded to give students the tools and skills needed to pursue a career in the gaming industry. This includes a number of game development roles such as game designer, concept artist, game programmer, 3D modeler, UI/UX designer, and more. The strength of the programs here is the hands-on learning led by professionals, which means students leave with a strong portfolio of work to show potential employers as soon as they graduate. There is also a strong focus on collaboration between students while working on projects, which serves to prepare them for actual game studio environments. Undergraduate degree programs currently offered are a Bachelor of Fine Arts in Game Development, Bachelor of Science in Game Programming, and Associate of Arts in Game Development. A graduate degree in the form of a Master of Fine Arts in Game Development is also available as well as an Online Award of Completion in Game Development. Many other academic programs such as Animation & Visual Effects, Illustration, and Graphic Design can also be used as a pathway toward a career as a game artist. Woodbury University is a private, nonprofit university in Burbank and with a satellite campus in San Diego. The school was established in 1884 and has grown to offer many graduate degree programs across their Architecture, Business, Transdisciplinarity, and Media, Culture & Design schools. The School of Media, Culture, & Design offers a Bachelor of Fine Arts in Game Art & Design designed to teach students everything that incorporates a game. This includes sound design, art, animation, computer technology, game design, and story development. This makes it one of the most best game programs in the state for offering people a taste of different areas of game development. Students in the program have the option of choosing between two emphases. The first is game Art, which focuses on learning how to create 2D and 3D characters, animations, and environments. The second emphasis is Game Design, which gives students a solid understanding of story, game rules, play mechanics, game conceptualization, program flow, prototyping, and scoring systems. The Game Art & Design degree shares several courses with Animation and Media Technology programs, which allows students to collaborate in a cross-disciplinary environment and give them real-world game studio experience. The biggest strength of Woodbury’s game program is a Game Capstone Studio course requirement that has students putting everything they’ve learned to use toward the creation of an original video game or other interactive media. This gives graduates a major advantage by allowing them to apply to game companies with previous experience already on their resumes. Another wonderful school you may want to look into is the California Institute of the Arts. Also known as CalArts, this private institution was started by animation extraordinaire Walt Disney himself and is often referred to as the Caltech of the Arts hints its nickname CalArts. As you can tell by its name this school is focused primarily on art and design topics. Aspiring game designers can use this to their advantage and focus in on one particular niche, which can help to separate them from the pack. For example, instead of the generic approach to game design offered by some other schools, at CalArts you can concentrate on Bachelor of Fine Arts degrees focused on Graphic Design, Experimental Animation, Character Animation as well as Masters programs in Creative Writing, Art and Technology and Sound Design. Those of you wishing to attend CalArts are expected to have graduated near the top of your high school class and possess an extensive portfolio displaying your best work. This is because the California Institute of the Arts has an acceptance rate is lower than 30%. Another thing to note is the cost of tuition is quite high coming in at roughly $43,000 per year for full-time students. Meaning your total cost will be close to $200,000 upon graduation. Simply known as the Art Center, this fully accredited design school has been operational since the 1930’s. Unlike some of the other schools mentioned on this list, the Art Center is a relatively small school with just under 2,000 students. Nevertheless, this exceptional college packs a big punch for such a small size. This school is similar to CalArts in that it is a college solely focused on arts and design, which allows for a more in-depth coverage of artistic topics. While there are many different degrees available, those seeking employment in the video game industry will likely concentrate on a degree in Entertainment Design. It is here where students build all of the prerequisite knowledge necessary for entry-level video game design jobs. This degree focuses in on both concept design and character animation and the official website even boast about how this degree preps students for career opportunities at companies such as Sony, Blur, 343 and Riot Games. Art Center College has a rather high acceptance rate of roughly 67%. Despite this, tuition is still quite high coming in at just over $30,000 per year for full time students. Otis has been around since the early 20th century. It is widely considered to the first independent school of art in Los Angeles. Since its humble beginnings, Otis has grown to include degrees in over a dozen artistic disciplines including illustration, toy design, architecture, fashion design, and digital media. More than likely game designers will opt for the digital media degree as it offers concentrations in Game Design, Animation and Motion Design. Aspiring students are required to submit past grades and a design portfolio. Though the school accepts over 50% of applicants, those of you interested are encouraged to have a strong portfolio and past classes on art and design topics because this school is located in downtown Los Angeles which is a prime location for video game students meaning it can be very competitive. As with many things in downtown LA this school is not cheap. According to the official website, tuition is just under $20,000 per semester. Compared to the other, more traditional options on this list Gnomon School of Visual Effects can be considered ‘off the beaten path’. This school doesn’t offer the usual four-year approach many students have come to expect. Instead, this school offers either a two-year or three-year approach. Both are aimed to give students the fundamental skills necessary to join a real-world production team. Along with the foundational artistic and design skills, both approaches allow students to focus in on one of four specialty areas. They include 3D animation, modeling and texturing, character animation, and visual effects animation. Naturally, the biggest difference in the two programs is that the three-year option goes a bit more in-depth. This school boasts many success stories from past students, some of which have gone to work on major releases such as Call Of Duty, StarCraft II, Uncharted 3, Diablo 3, Tony Hawk skateboarding games and more. This is good news considering that the school has a 50% acceptance rate. Another small school worth mentioning is the California College of the Arts or CCA for short. This is yet another private school, which was founded in the early 20th century. Perhaps the best thing about this school is the ratio of staff to students, which is roughly 1 to 4. One thing to note is that this school doesn’t offer a degree, which focuses solely on game design. Instead, they offer many concentrations that other schools supplement with only few classes. 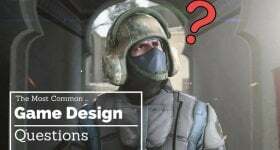 For example, graphic design, illustration, interaction design, animation and writing are all highly specialized areas, which are necessary in most game design scenarios. This college allows student to focus in on one of these areas and become a master instead of just glancing over the material and moving on to a new topic, which other colleges far too often do. Although it is a respected school, which has a staff comprised of many accomplished and successful designers across many disciplines, CCA has an exceptionally high acceptance rate of 76%. Better know as UCLA, this public university has many top 5 programs across the board. This is including its Design Media Arts program, which gives students the opportunity to study game design topics such as motion, drawing, typography, interactivity and much, much more. After four years of hard work and endless dedication, students will have a Bachelor of Arts from one of the most respected universities in the world. If you combine this degree from UCLA with a strong portfolio you are sure to receive many callbacks and job interview opportunities. The biggest hurdle potential students face is getting accepted. This is because unlike some of the other universities on this list, UCLA has an extremely low acceptance rate of less than 20%. This means that aspiring students must graduate near the top of their high school class and have a strong interest in game design along with a beefy amateur portfolio, which supports this. One thing to note is that this school doesn’t offer a degree, which focuses solely on game design. Instead, they offer many concentrations that other schools supplement Another thing to consider is the sky-high price of tuition, which can be upwards of $60,000 per year for non-California residents. The University of California Berkley is a part of the same public university system as UCLA and all other University of California schools. However, where it differs is in the curriculum. We’ve included it here to add diversity to our list. 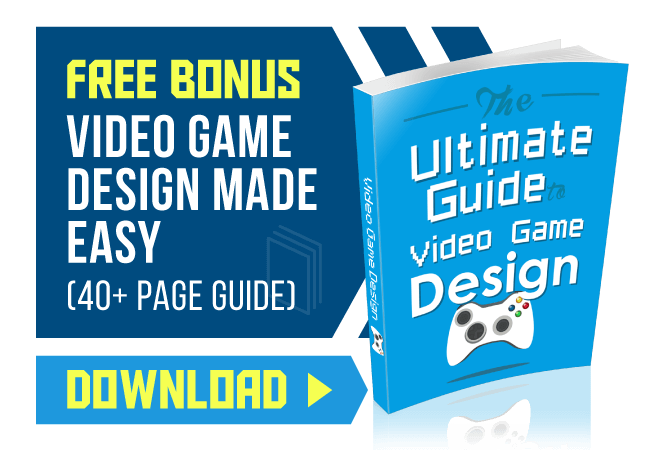 Although video game designers traditionally work on the design aspect and leave the programming to the developers, people who have a solid understanding of both are always sought after. If you are a designer with an aptitude for the technical side of game making you may consider studying Computer science alongside game design. All of the other schools on this list focus exclusively on the design aspect of the game. This is for good reason, as it is the entire purpose of the article. However, focusing exclusively on design may potentially alienate a small percentage of you. By studying Computer science you’ll be able to approach your game designs from a different aspect. If this sounds appealing to you, you must be willing to work harder than you would to receive a game design degree. This is because you’ll want to supplement your Computer science knowledge with either a minor in a design topic or be willing to study for a master’s degree in game design. You’ll likely be rewarded by such accomplishments by being highly sought after in the job market. The thing is, just like UCLA, UCB has a very low acceptance rate that is just above 15%. Making things slightly more difficult is the $58,000 yearly tuition for non-California residents. With an average salary of over $60,000 and plenty of growth predicted for the future, it’s easy to see why video game design is such a lucrative career option. Our entire goal in compiling this list is to give you the insight necessary to start your journey into this rewarding industry. Major studios in California and around the world are always keeping an eye on game design colleges such as the ones listed here because talented designers are always in demand. Make every effort to separate yourself from the crowd by getting the best grades possible while at the same time building a strong yet diverse portfolio. Why Study Game Design in California? Maybe a better question is why not California? With dozens of accredited colleges offering some type of video game design concentration, you have plenty of options available. No matter if you want to be near the beautiful beaches of southern California or the hustle and bustle of Silicon Valley, you’re sure to find a place that suites your liking. Another reason California is such a prime location for students looking to break into this industry is because of the events. Annually, California plays host some of the largest gaming and entertainment related events in the world. These conventions draw in an audience from all around the globe. These events allow both industry leaders and independent producers to showcase their latest creations to a worldwide audience. It should be obvious that such popular gaming events are great places to network and make new industry connections. As well as many independent companies are all regular guest of such conventions.